Beth’s passion for the north began in university on a three-week Biology field trip to the Eastern Arctic in 1978. That trip was followed by five more summers in the north working on various projects for Environment Canada, Agriculture Canada, Indian and Northern Affairs, Queens University and York University. Along the way, she completed research for her MSc. Degree in Plant Ecology and worked in agricultural research, but thoughts of the north were never far away. 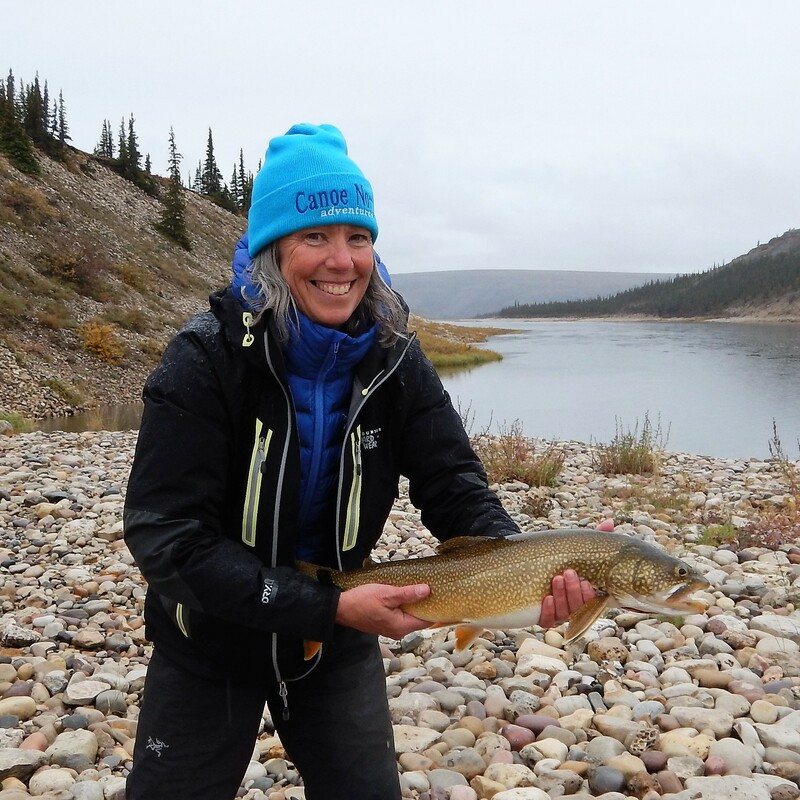 We first met Beth through her love of pottery but she eventually became a Canoe North Adventures client in 2009 paddling the Yukon River on a women’s trip. We welcomed her to our Management Team in 2012 where her multi-tasking skills, including river-guiding, are greatly appreciated. Beth has paddled the Yukon River, Keele River, Great Bear River and her personal favourite, the Upper Horton River. Beth is also a glass artist who creates original lampwork beads inspired by her adventures. Her jewellery can be viewed at The Farmhouse Pottery and on her website. Beth lives in a charming post and beam country home on the banks of the Grand River at the exact location we end our spring training canoe sessions!